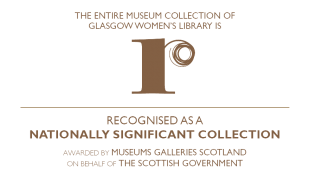 Women Make History (WMH) is the Glasgow Women’s Library history group. We aim to discover the hidden histories of women in the city, from shipyard workers to the earliest women graduates of Glasgow University, and share this information with a wider audience. In doing this we are women making history ourselves. 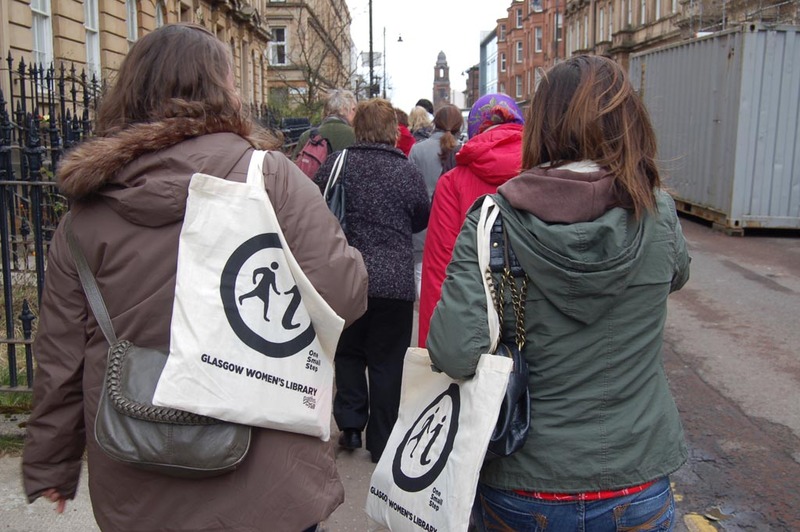 Since its launch in 2006, Women Make History has developed – and continues to develop – popular walking tours in several areas of Glasgow, and shares the fascinating stories of Glasgow’s women with new audiences at WMH talks. We have developed tour guide training, publications and women’s history resources, and are recording the stories of ‘Living Heroines’. Our latest development has been the production of our first downloadable audio tours, allowing you to experience our pioneering West End and East End Women’s Heritage Walks in your own time. Women Make History’s pioneering walks, activities and programmes have been developed through the hard work of volunteers working alongside GWL staff. Glasgow Women’s Library’s Women Make History group launched Glasgow’s first Women’s Heritage Walk in June 2007 as part of the West End Festival programme. Since then, we have continued to lead out walks in the West End during the spring and summer months and have expanded our range of guided walks for the general public to include trails in the city centre, walks on specific themes and for specific groups and a walk in the East of the city at the Glasgow Necropolis in partnership with Friends of the Glasgow Necropolis. The walks are designed to be enhance life, health and learning. They have been developed with grown-ups in mind but we have had good feedback from young people and children too. You can find out more about the duration and accessibility of each walk on the Women’s Heritage Walk page or by contacting us. Check out our upcoming Women’s History Walks and book your place now, as places are limited and the walks book up quickly. You can also explore these walks with the help of our downloadable walk maps, available for the West End, Necropolis, Garnethill, Merchant City and East End Women’s Heritage Walks, or with our downloadable Audio Tours for the West End and East End walks. Our Women Make History group launched our first women’s heritage bike ride in June 2014, as part of the Glasgow Cycle Festival. The route follows a safe (and flat!) cycle route along the river Clyde, from the Riverside Museum in the West to the Sir Chris Hoy Velodrome in the East. Like our walks, the ride aims to highlight the often hidden histories of women, but is also an opportunity to explore the city on two wheels within the safety of a guided tour. Check out our upcoming Women’s Heritage Bike Ride and book your place now. You can also download a copy of the map here or pick one up on your next visit to GWL and follow the route yourself. 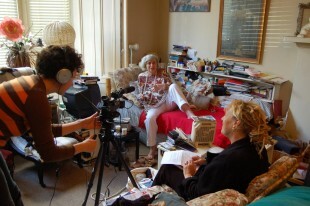 It’s amazing how many hidden histories there are of women that we are uncovering all the time, and it’s our fabulous Women’s History Detectives who are behind this. Whether you want to do research from home, come and join a group, or like visiting museums and archives, then why not get in touch about the opportunities we have and the history detective projects that we are currently working on. You can also check out our events calendar to access information about current training opportunities. Past courses include Researching Your Local History and Introduction to Family History. There are lots of ways to get involved. For more information about how you can get involved in developing the walking tours, fundraising, or joining the research and development groups, please contact us.